“34. ‘They thought I was a Surrealist but I wasn’t. I never painted dreams. I painted my own reality.’ –Friday,” she captioned the pic. Rodriguez also shared two more shots in the same setting to her Instagram Stories, flashing her sparkly bling both times. But the image that really has us hearing wedding bells is one of her with her longtime boyfriend, Joe LoCicero. 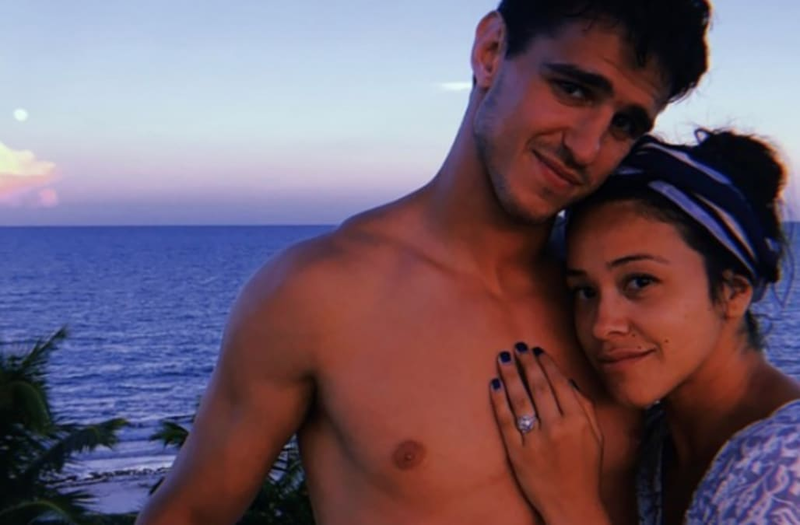 Neither LoCicero nor Rodriguez has outright confirmed the engagement. The couple met on the set of Jane the Virgin in 2016, when LoCicero was cast as a stripper.